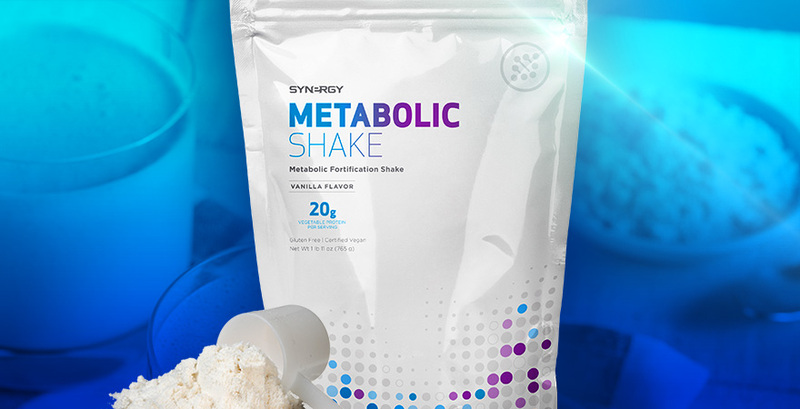 Metabolic Shake blends heart-healthy phytosterols† with high-quality, vegan pea protein isolate in a unique formula. It is the convenient, tasty, and satisfying cornerstone of the clinically studied Fortify Program‡, developed to support and maintain a healthy body composition and metabolic function. Pea protein, phytosterols, flax seed, blueberry, cranberry, broccoli. Mix two level scoops (51 grams) with approximately 9 ounces of cold water, or mix to taste. For best results, use in conjunction with other Fortify products. † Diets low in saturated fat and cholesterol that include two grams per day of phytosterols eaten with meals or snacks may reduce the risk of heart disease. A serving of Metabolic Shake supplies two grams of phytosterols.